Greetings from the Chapter House Choir! Greetings! We hope you enjoyed our concerts earlier this season. There is still plenty to look forward to, with our Sounds of Summer concert on Saturday 22 June 2019 in St Chad’s Church York, and our Music for a Summer’s Night concert Saturday 29 June 2019 in St Mary’s Church Thirsk! Both concerts start at 7:30 pm. Tickets for Sounds of Summer are a mere £5 each! Please see our Concerts and Events page for more details and dates for your diary. As soon as tickets for each concert go on sale, buttons are added to this website to link you directly to the online box office for buying tickets. In our second new venue the Chapter House Choir will perform a selection of summery choral classics in Thirsk. This charity concert will be in aid of St Mary’s Church Thirsk, the Multiple Sclerosis Society, and the Chapter House Choir. 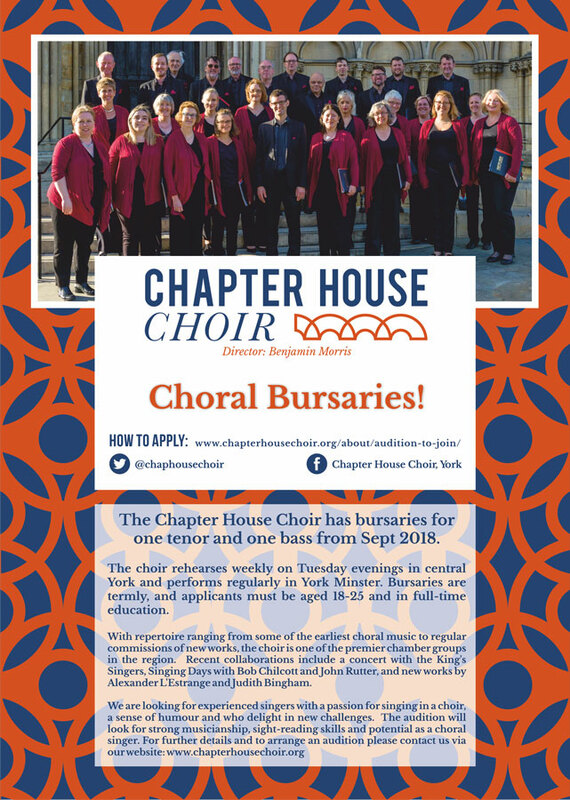 Latest News from the Chapter House Choir…. 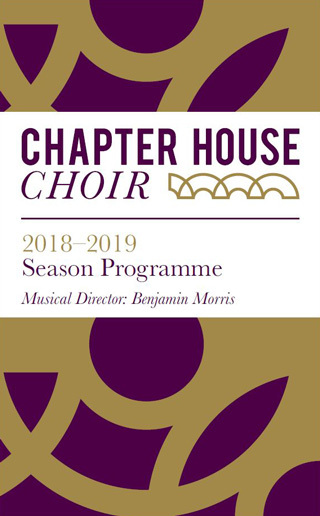 The Chapter House Choir has been delighting audiences for over 50 years with a diverse mixture of a cappella and accompanied choral music from across the centuries and around the globe. Building on a highly successful first year with our Musical Director, Benjamin Morris, the 2018–2019 season offers a wide range of programmes, from contemplative to lighter, popular works. Our recent October concert was the final one in our series on the theme of exile, reconciliation and peace. It commemorated three significant events in 1918 and included some sublime music by Parry and Stanford. Later in October there was an Open Rehearsal, where people met members of the choir and our musical director Benjamin Morris. There was an opportunity to sing with the choir or simply watch the rehearsal. At Christmas we were delighted to return to the Chapter House of York Minster to perform our trademark traditional Carols by Candlelight with our very own Handbell Ringers. We followed Carols by Candlelight with a Christmas concert, Mirabile Mysterium, in St Michael-le-Belfrey Church, where we were be joined by the Chapter House Youth Choir. In March 2019 we performed Jonathan Rathbone’s Under the Shadow of His Wing, an extended setting of the service of Vespers, in the presence of the composer. The work was premièred in October 2014 to a rapturous reception, and this was the first performance outside London. For our Summer 2019 concert we shall explore two new venues – St Chad’s Church York and St Mary’s Church Thirsk. The programmes will include choral classics such as Vaughan Williams’ Three Shakespeare Songs, and a variety of summery pieces by Elgar, Stanford, Chilcott and others. The Sounds of Summer concert at St Chad’s Church in York will cost you a mere £5, whilst the Music for a Summer’s Night concert in Thirsk is in aid of three charities: St Mary’s Church Thirsk, The MS Society and the Chapter House Choir. Click on the Season Programme image above to download the full 2018-2019 brochure. The Chapter House Choir always welcomes interest from singers in all voice parts to apply to join the choir. There are specific vacancies for tenors at this time. There is also a limited number of choral bursaries (one per voice part) available to promising young choral singers aged 18 to 25 in full time education. The Chapter House Choir is committed to inspiring the next generation of choral singers and to mark our 50th anniversary year in 2016 we launched a new Youth Choir for talented singers aged 13-19. The young singers performed alongside The King’s Singers and The Chapter House Choir in York Minster in their first concert! 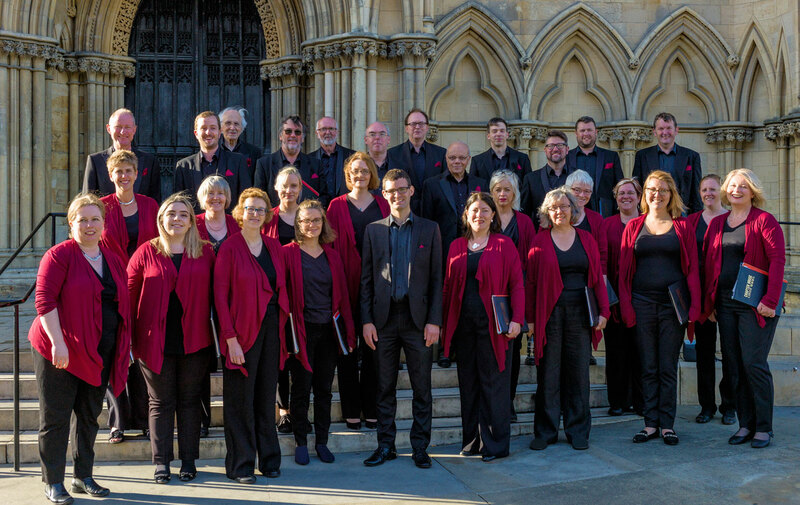 Other recent events include concerts in York and Ripon Cathedral, and evensong in Durham Cathedral. Most recently, the Youth Choir gave a live broadcast of the BBC Radio 4LW Daily Service on Thursday June 28th and performed in October’s Nineteen Eighteen concert in the Chapter House of York Minster. The most recent event was Evensong in Selby Abbey on Sunday 24th March. Find out more on the Youth Choir’s web page by clicking on the button below! The Youth Choir is currently recruiting new members. 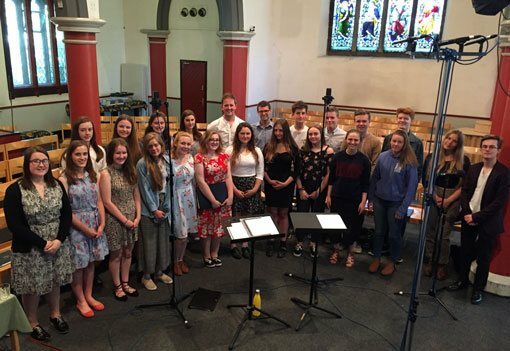 If you know any singers aged 13-19 who would like to audition, please get in touch by visiting our Youth Choir web page and use the Contact button to arrange an audition to join.